Oct 9. evening. Chandler Hovey Park Neck, Neck. East pavilion. An under-sized common garden spider in the hub of its web. 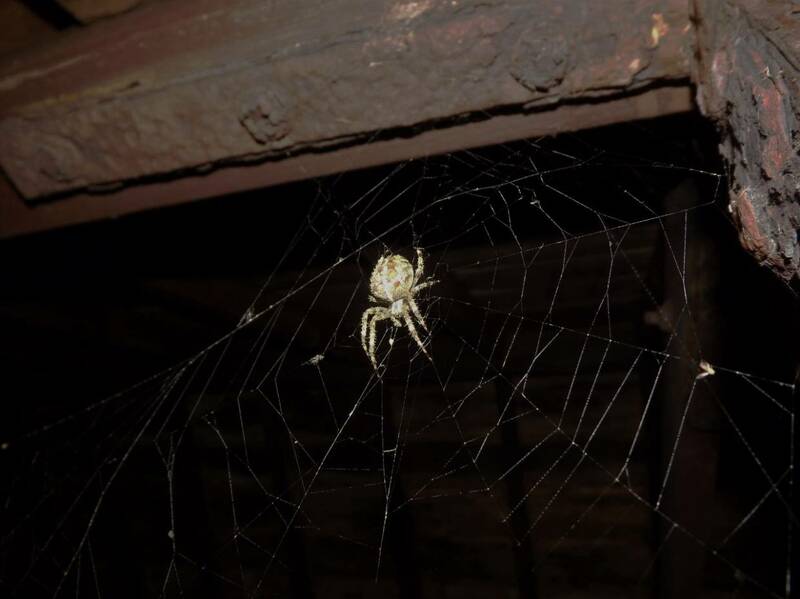 The spider's body is only a little over a half inch long and web is barely 12" inches across. These spiders have become less common locally and smaller in size as there has been a reduction in insect prey over decades. A warm and humid night.